From June 15 through July 15, 2015, Light Work Lab is undergoing renovation. Below is a letter from Light Work Lab Manager Walker Blackwell addressing many exciting changes, limited space closings during the renovation, and more. I’m writing you with some exciting news! Light Work Lab is undergoing a much anticipated renovation. Following this, our little lab founded over 40 years ago and housed at Syracuse University will continue as the best community-access lab in the world. 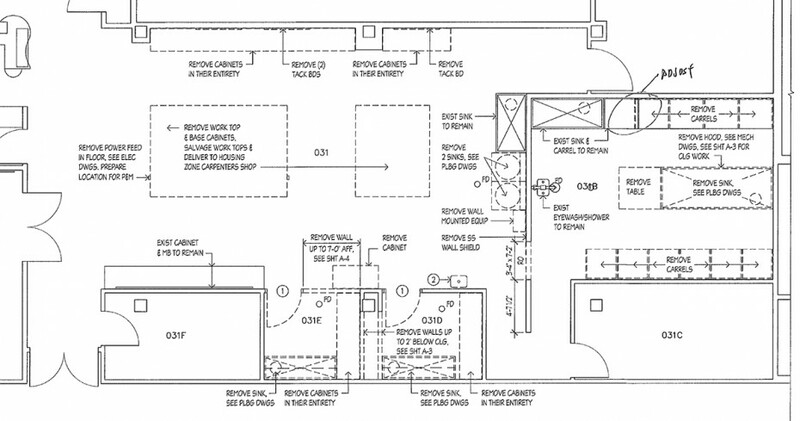 Renovations begin on June 15, 2015 with an anticipated completion date of July 15, 2015. Please see below for more details, including information on room closings during the month-long renovation. Be sure to follow our Facebook and Twitter streams for updates on the progress of the renovation and more. Q: What does this renovation mean long term? A: Tons. Printing and scanning workflows get streamlined, physical workspace gets re-arranged, upgraded lighting throughout, new computers and printers, more magnetic-wall space, flat-file storage for the community, all lab furniture goes mobile to allow for expanded programming, and so much more. We’ll post all these new amazing things that members have access to at lightwork.org/lab over the next month. After a long period of consideration and thought we’ll be decommissioning the developing labs and large darkroom for many reasons that we explain below. Fear not! The advanced darkroom will always exist for community use, as well as sinks in multiple locations. We’re confident this is the right decision and are happy to answer any questions you might have. Q: What does this mean in the short term (now through July 15)? A: If you have a backlog of B&W film to develop and print analogue, now is the time to get rolling! Have you been waiting for a reason to organize a group photogram party? This is your opportunity. Come in and say your goodbyes to the large darkroom before June 10th. After renovation our advanced darkroom will be open for business (you can reserve it now by calling 315.443.1300). From June 15 to July 15 the large workroom (where cutting tables are currently located), lighting studio, and darkrooms will be closed. During the renovation all lockers will be converted to roller lockers. We’ll box the locker contents, number the boxes, and make them fully accessible to their owners for that month of construction. The large cutting tables are temporarily moving to the hallway near the open lab, so they will still be accessible (but cozy). Scanners are moving to the open lab, Artist-in-Residence studios, and service lab. The renovation will not impact people working digitally very much, though getting around during the renovation is going to be a bit tight. Q: Why are you taking away the developing lab and large darkroom? A: This decision was difficult and not made lightly. The advanced darkroom is not going anywhere, and will maintain full functionality forever. We’ll still offer Intro to the Dark Arts sessions and will be maintaining sinks in our larger project spaces. We will always be committed to film photography. The only difference is now darkroom access requires a reservation by calling 315.443.1300. This is the same process currently in place for the lighting studio. Darkroom usage has dropped over the past several years and that space can be used in better ways. We attribute this to a few reasons: silver film/paper is now very expensive, consumables are hard to find in this area (MQ Camera closing, etc), and inkjet printers are now very high quality. And finally, our digital workflow is advanced enough to support a true transition now that we have a Piezography K7 monochrome print system (developed in-house, by the way). We are very excited to usher Light Work into a new era of improved productivity, service, and technical and creative excellence. We have a small space for what we do, and we want to use every square foot. Q: What is physically changing at Light Work? Will I recognize the place? A: Yes! We’re not tearing out that many walls, but we are dramatically reorganizing our space to streamline workflow. It’s a fun project. The equipment and where people work is changing. We are also really excited about upgrading the lighting in the lab. We are installing gallery/museum spec 5000k LED bulbs with special violet phosphors, 60 degree beam spreader lenses, and 4200k warming filters. The light will be nothing but revolutionary. All fluorescents will be kept off. Yay! Q: What else can we look forward to with the renovation? A: Following construction, we plan on hosting Saturday digital intro classes in the open lab in addition to our ongoing Sessions. Printing, cutting, and other production related activities will take place in the new, large production room. This switch will open up the space for education and help us support members by providing better access to front-desk and service staff. This is a huge improvement from our current layout where members work almost 80 feet away from the nearest staff member who can help them. With printers, gallery lights, magnet walls, cutters, and flat-files closer to each other, everything is easier to do. New flat-files will facilitate large-format print storage for the community. From scanning to storage, Light Work Lab has you covered. We are thrilled about the expanded potential for serving as an improved site for community art events, happenings, and more in Syracuse. The space will be accessible and lit well-enough for any member to have a studio or curatorial visit, or to host a critique group, etc. Because lab furniture will be on wheels, all tables/lockers/printers will be able to roll out at a moment’s notice making space for lectures, experimental workshops, portfolio reviews, movie nights, art performances, and more. We at Light Work Lab are incredibly excited for this renovation and the potential it brings for the art community in Syracuse. We look forward to seeing more of you soon! Today we talk with Willson Cummer who teaches Light Work Lab‘s intermediate/advanced level photo class which focuses on long term projects and the creation of a series photographed over many years. 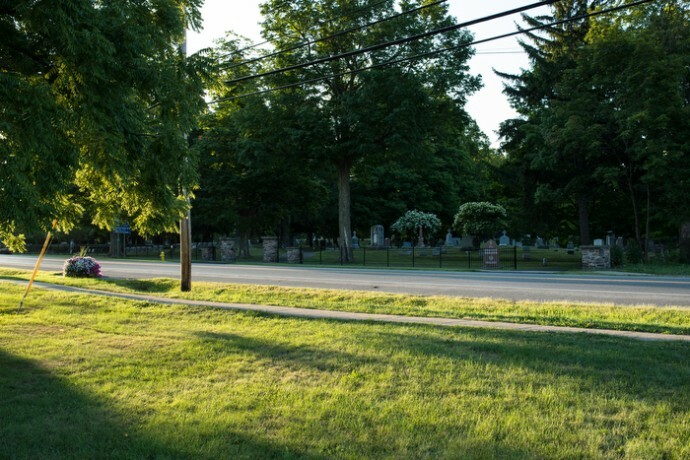 Willson Cummer is a fine-art photographer and teacher who lives near Syracuse, NY. He has exhibited nationally in juried shows. Willson had his first solo NYC show in December 2011 at OK Harris. LWL: Why did you want to start a class for working on long term projects? I wanted to create a long-term projects class because that’s the way I enjoy working — developing a project over a year or more and seeing it grow as a result. I enjoy sharing projects with other photographers and learning from them. LWL: Who should take your class? Any photographers who are intrigued by the idea of developing a project should feel welcome to take the class. Any kind of camera can be used to create a project, and beginners are welcome. LWL: Tell us about your personal work. In my personal work I explore the intersection of the natural world and the built environment. That interest has led me to create projects about parking garage rooftops, overpasses and local parks. 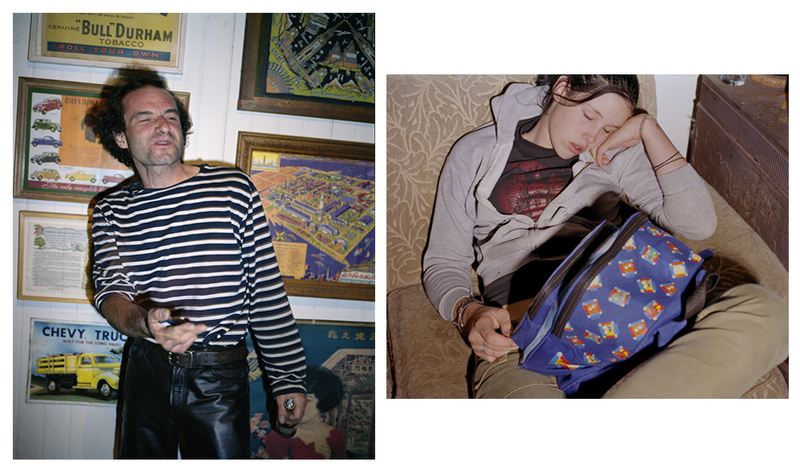 My work is online at www.WillsonCummer.com. Light Work Lab is pleased to present our Instructor Profile series – featuring interviews with our workshop and class instructors. We want you to get to know them, their work and their interests. Today we interview Stephen Shaner who is teaching both a 5 week workshop on Photography in the Studio as well as a single session class on Astrophotography. Stephen Shaner started taking photographs while studying journalism in college. He graduated from the Rochester Institute of Technology with a degree in Photographic Illustration / Photojournalism. After graduation, he served as a newspaper photojournalist for six years before leaving to pursue freelance work and teach. Stephen’s photographs have won numerous awards and his work has been published and displayed throughout the U.S.
LWL: What do you like the most about working in the studio? The studio is a blank canvas; you start with an empty space and an opportunity to transform it to create nearly any image you can dream of. When you strip photography down to its bare elements, as in the studio, you better understand why and how things work, you become acutely aware of light and its relation to the subject and can focus on creativity. That’s refreshing in a medium often bogged down in endless discussions of gear and software. No matter what your primary photographic interest – nature, fashion, documentary, fine art – in the studio you’re able to freely explore that. LWL: How did you get into astrophotography? I’ve always had an interest in the night sky and for fun took astronomy courses while in university. It wasn’t until I was working as a photojournalist in the late 90’s and photographed the spectacular comet Hale-Bopp that I wanted to try astrophotography. 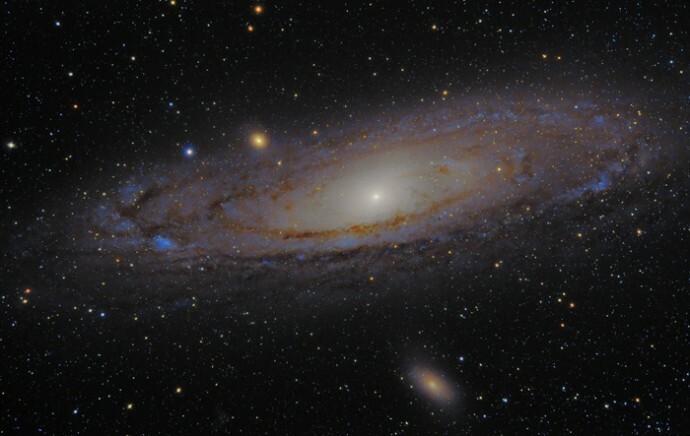 At the time, however, long exposure, deep sky imaging required a significant investment to achieve modest results. Now technology (the CCD revolution) has evolved to where amateurs with modest budgets can make photos in their backyard which rival those only possible at professional observatories a few years ago. One thing that’s constant, sadly, are central New York’s cloudy skies! LWL: Who should take your classes? Anyone who wants to explore their own creativity and interests. When I think back to all the instructors I’ve had the ones who stand out as exemplary are those who, while accomplished themselves, didn’t hold their own artistic sensibilities above everything else and were genuinely excited and passionate about their student’s work. I’m fortunate to have photographed in so many different genres for work and for pleasure and because of that practical experience I can demonstrate how simple it is to achieve excellent technical results with the gear people already own. But I always emphasize ideas because ultimately that’s what photography’s about. For the past decade my interest has been in areas of conflict; specifically people who, by accident of birth, live amidst violence in ongoing conflicts. It’s the kind of work I’ve always wanted to do and why I first started taking pictures. The camera is a vehicle that affords you an opportunity to meet people in situations far removed from your own, a way to understand the world and a chance to have what I consider genuine experiences, something increasingly harder to find in a culture where the message seems to be one of security, conformity and reality by proxy. Light Work Lab is pleased to announce a series of special Instructor Profiles featuring interviews with our workshop and class instructors. We want you to get to know them, their work and their interests. Today we interview Dan Boardman who is teaching Book Dummies for Beginners – a class on editing, sequencing and laying out book dummies. This class is geared towards photographers who would like to make a book, but are not sure how to go from a group of images to a cohesive and finished product. Dan Boardman is a visual artist living in Somerville Massachusetts. He was born in Ontario California, and grew up in Central New York. He is a 2013 Massachusetts Cultural Council Artist Fellowship recipient and his work has recently been exhibited at The Bakalar & Paine Galleries in Boston, MA and Harvard University in Cambridge, MA. He teaches photography at the Massachusetts College of Art and Design and is a co-founder of Houseboat Press, a non-profit art press that publishes books with great care and little skill. LWL: What do you like the most about making photo books? I love to see an idea take shape right in front of my eyes. Somehow an array of images can coagulate to make an experience that is exciting and interesting. It’s like watching amino acids bump into each other in the primordial soup. When the right combination happens BAM you got something. Those people who are interested in making a book but have no idea where to start. We will be focusing on editing, sequencing, and strategies to privilege some images over others. Then we are going to talk about how those images get into a book, how that will function, and what it might look like. complexity of it. Sometimes I’m struck by the present and the interactions with strangers (72 second window); other times I think about the possible world we are leading to, or leaving behind (The Citizen); other times I think about my very limited perception of the universe (The Family of Man). LWL: Tell us about Houseboat Press. The Bell Labs of photobooks! We are entertaining ourselves mostly. Houseboat takes on a few different roles for me. It allows me to be as wild as possible with book making ideas, and to collaborate with artists and other interesting people the world over. We gravitate toward projects that have no shape yet, so we can all find the right path together. Light Work Lab is pleased to announce a special blog installment featuring Instructor Profiles — interviews with our workshop and class instructors. We want you to get to know them, their work, and their interests. 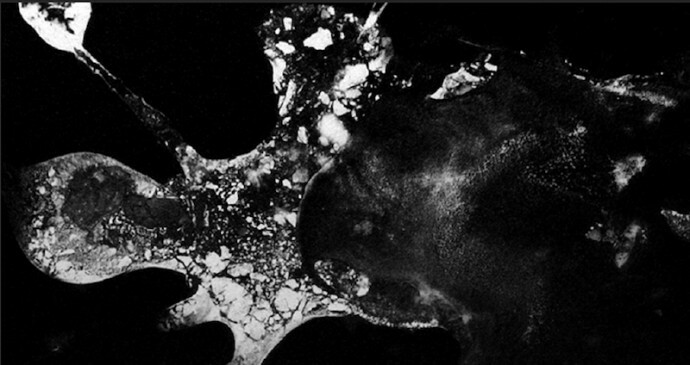 This is the first of that installment and features and interview with Leah Edelman-Brier who is teaching our Beginning/Intermediate level black-and-white photography workshop that goes over the basics of black-and-white darkroom-based photography, including exposing film and developing it in the Lab darkroom. 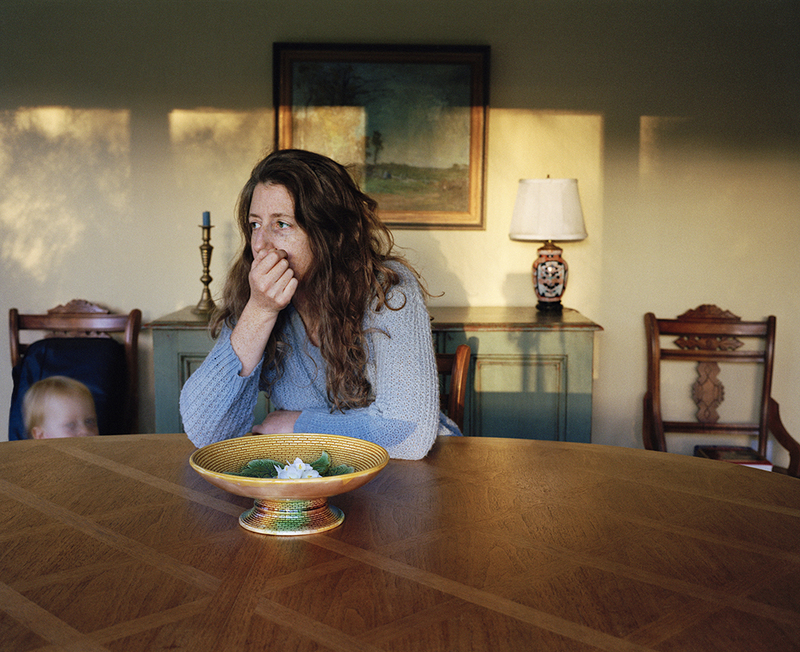 Leah Edelman-Brier is a Rhode Island native who will be graduating with her MFA in photography this year from Syracuse University. Leah has been teaching introduction to black and white photography for 2 years at the university and is excited to run this spring’s workshop at Light Work. Light Work Lab: What do you like the most about working in the darkroom? The darkroom is a calming and peaceful place. Working in one gives the artist a chance to go back to basics and expand their understanding of the medium. It’s almost magical to watch the chemical process render an image. It’s the closest a photographer can actually get to working with their hands and having that feeling come across in the work. Anyone interested in the basics of photography or working in black and white as a stylistic choice. The class will cater to all levels of experience. My work uses an array of symbolism and fantasy to examine female relationships within a family or in nature. Light Work Lab is pleased to announce the roster of Spring 2014 Workshops on variety of topics for all experience levels. Courses cover everything from the darkroom and technical foundations of photography to digital workflow and practical professional development. Whether you are just starting out or want to expand your skills and creative network, Light Work has the expertise, facility, and community to help you succeed. 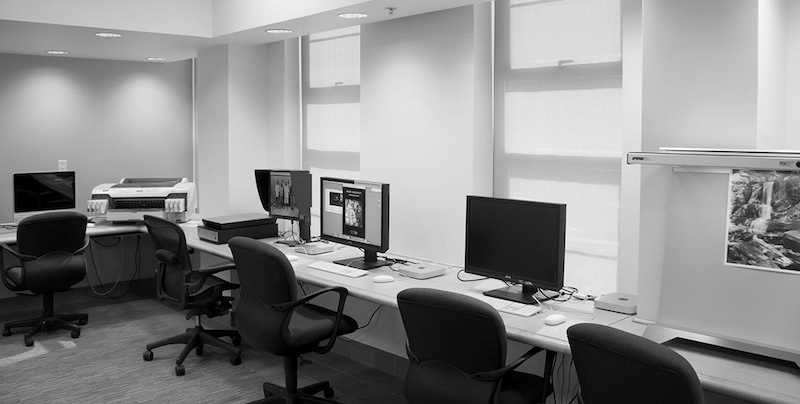 While enrolled, students have full access to our DIY facility for retouching, scanning and affordable printing. Sign up for Fall 2013 workshops at Light Work / Community Darkrooms. Each semester Light Work / Community Darkrooms offers a series of workshops and classes to help you build your photographic skill set. Tuesdays, September 17-October 15, 6-9 pm. This course will provide an introduction to the basic layout, tools, and modules of the program, giving you a foundation to build on, as well as the knowledge to export and publish your work. Thursdays, October 3-31, 6-9 pm. Learn how to make cyanotype prints, salt prints, and photograms in this hands-on workshop that explores simple yet effective alternative processes. This includes historic and contemporary work, as well as the traditional black and white development process. New to InDesign? This class will teach you the basics of creating engaging print designs and page layouts that output professionally, letting you design with confidence. Learn to navigate the program, understand the tools, create, edit, and save files. Tuesdays, October 29-November 26, 6-9pm. If you are new to Photoshop, or just need a refresher course on the basics, this is the foundation for you. Whether you want to size files, import, export, or read a histogram, this course covers the basics. Thursdays, November 14-December 12, 6-9 pm. Sunday, October 6, 1-4 pm. This will be a simple overview of how to use your digital camera. There will be a few short lectures before heading outside to the beautiful Syracuse University campus where you will be free to photograph an array of subject matter, practice learned techniques, and ask questions as you go. Sunday, November 10, 1-4 pm. Learn how to use your camera to make the best possible images. You will review file types and sizes, learn the difference between the Imacon and flatbed scanner, discover the 3F format, and make adjustments to create a final scan. Bring a hard drive and your film. To guarantee your place in the class, payment must be received at least three days prior to the start of the workshop. Willson Cummer is a longtime Community Darkrooms Instructor and avid photographer. His exhibition Sacred Paradox: Photography by Willson Cummer is currently on display at Baltimore Woods Weeks Art Gallery. 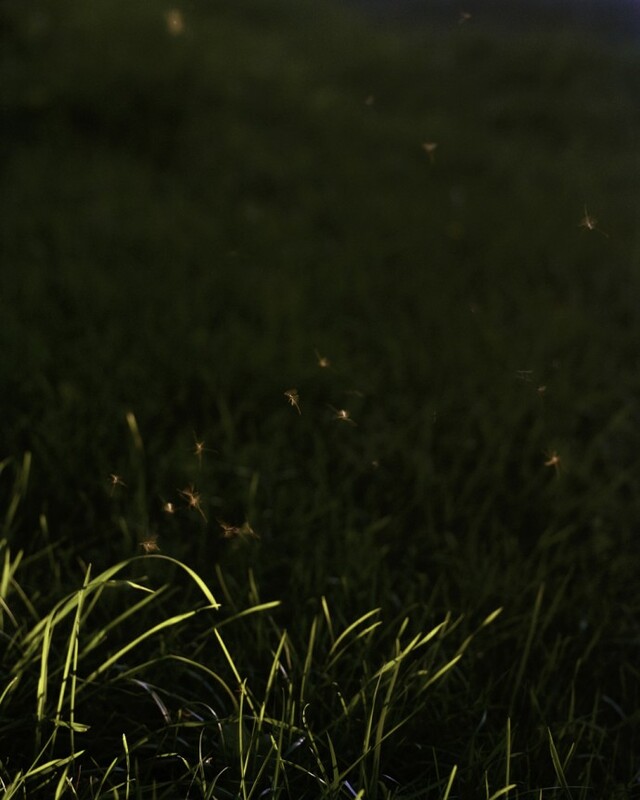 Willson will also be showing his work here at Light Work/Community Darkrooms this summer. Stay tuned! Onondaga Lake, which borders the city of Syracuse, is a Superfund cleanup site and a holy lake for the nearby Onondaga Indian Nation. I have explored this paradox, photographing the lake and its tributaries from a canoe and on shore. I find the lake gorgeous at times and repulsive at others. Raw sewage flows into the lake during heavy rains, as the municipal wastewater treatment plant is overwhelmed. Algae grows in the phosphorus-rich waters, giving off a stink in the summer. Mercury and other heavy metals lie on the bottom of the lake — remnants of chemical industry in years past. Swimming has been banned since 1940. Honeywell International, which bears responsibility for the industrial pollution, is dredging, building barriers, a pipeline and wetlands, expecting to spend over $500 million. 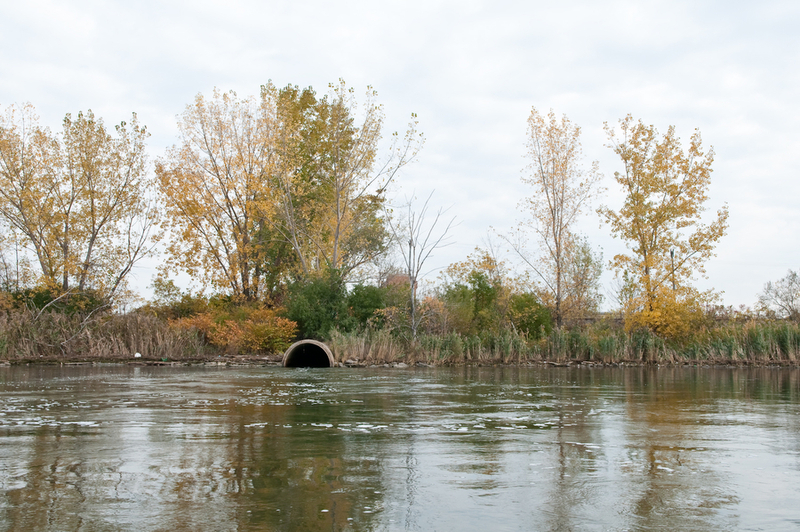 Onondaga County has improved wastewater collection and treatment and reduced storm water runoff. The Onondaga Nation is not satisfied with these plans, and has asked for a more thorough job at a cost of over $2 billion. As the lake improves, bald eagles have taken up residence, and great blue herons are numerous. Onondaga Lake is an extreme example of much of our natural world: polluted yet still achingly beautiful. 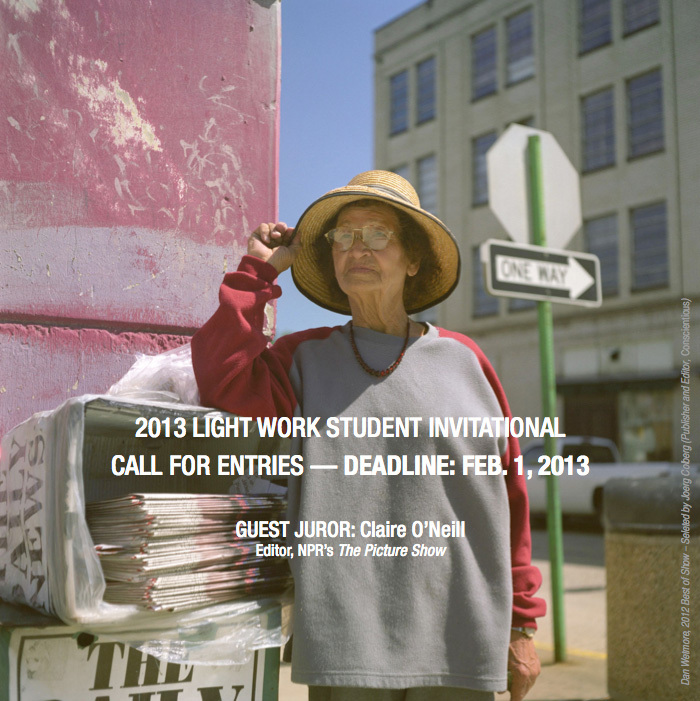 The 2013 Light Work Student Invitational exhibition will feature a selection of photographs by Syracuse University students selected by our guest juror Claire O’Neill (Editor, NPR’s The Picture Show). The selected images will be showcased on Light Work’s LCD screen from March – May 2013. Our guest juror will select the winner of Best of Show and Honorable Mentions. These students will be featured on the Light Work blog and an online exhibition.